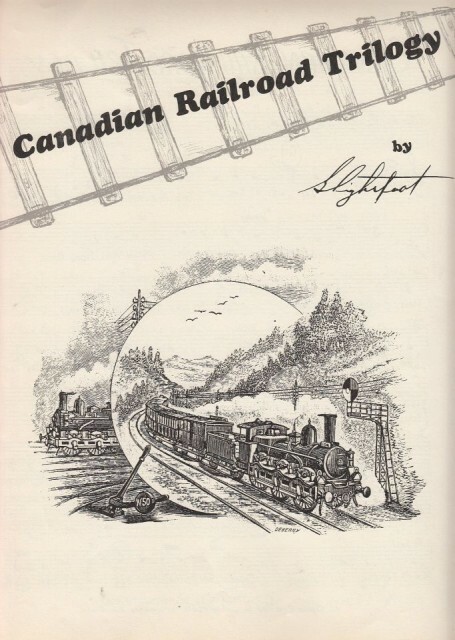 There was a time in this fair land - Lightfoot's Trilogy - Gordon Lightfoot Book, Music and More! It is the most patriotic of all his songs, a three-part epic that recounts the construction of a nation-spanning railway, describes the stark beauty of a country’s landscape and tells of the human toil it took to build the “iron road runnin’ from the sea to the sea.” And yet Gordon Lightfoot’s “Canadian Railroad Trilogy” managed to resonate with listeners on both sides of the 49th parallel when it was released 50 years ago. 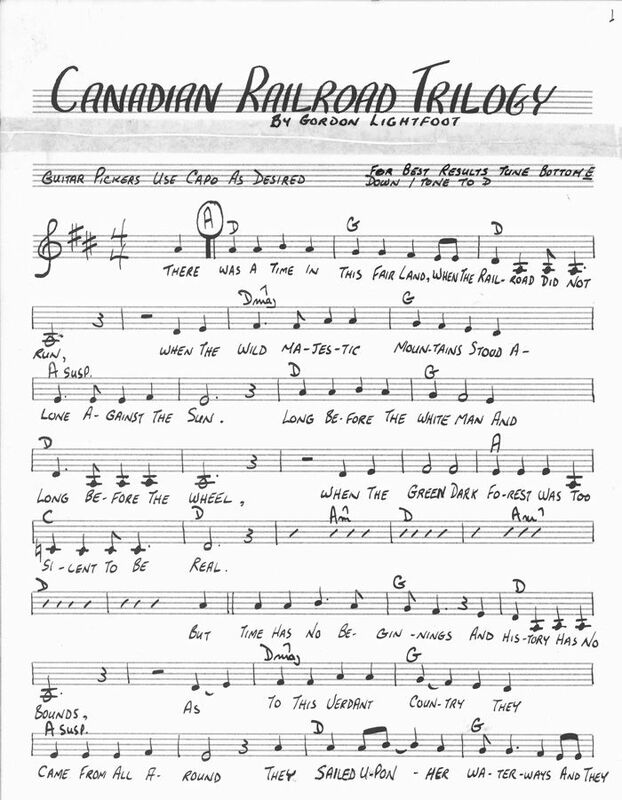 Appearing on Lightfoot’s 1967 album The Way I Feel, the “Trilogy” was instantly embraced by Canadians already deep into celebrating their country’s 100th anniversary. But Americans somehow connected with the song as well. When Lightfoot launched into the robust ballad the following year at the Fillmore West, San Francisco’s hippie ballroom, the audience applauded on hearing the opening line. 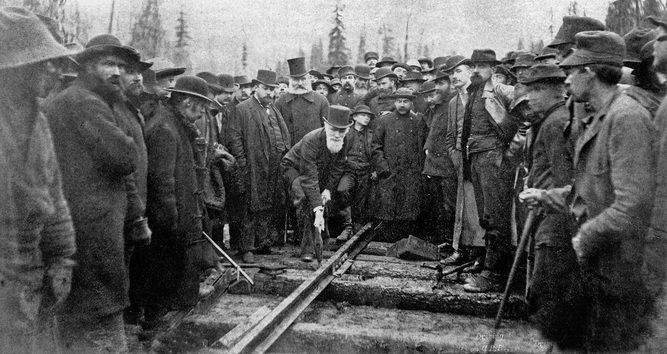 I started with a ballad, reaching back to an old barbershop tune I used to do called “The Rose of Tralee.” I put that to work in the slow part and found this word navvies, which were the railway workers, in the book on Van Horne. I started listening to Bob Gibson’s “Civil War Trilogy” and decided to use his format—fast going in, slow in the middle, fast going out. And it came to me. Got into a great key. Open F chord. Same way I’d written “Early Morning Rain,” but very few others. I stayed up all night working on it, right up until nine or ten in the morning. Then sleep and pile right back into it. Coffee, cigarettes—nothing else. No booze at that point. The song was done in three days. 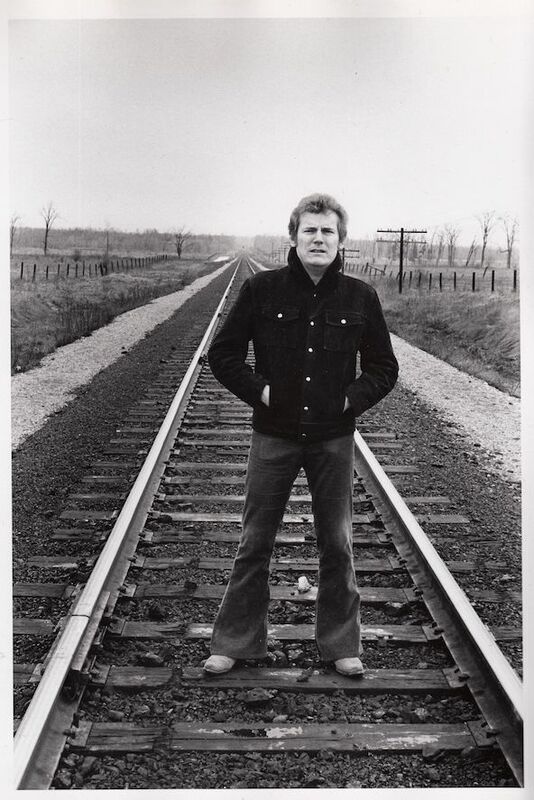 With the lead sheet for the song in his guitar case, Lightfoot drove down to Jarvis’s office at the corner of Yonge and Gerrard, walked in, sat down at his desk and played him “Canadian Railroad Trilogy,” all six minutes of it. “He listened to the whole thing,” says Lightfoot, “and when I was done, he said, ‘Well, Gordon, I’m impressed.’ That’s what he said. He told me they’d get Ron Collier to orchestrate it and asked if that would be okay. I said, ‘That sounds wonderful.’” It was indeed an impressive achievement. Lightfoot had captured the rugged beauty of the land before European settlement with its “wild majestic mountains” and forests “too silent to be real.” And he’d distilled the grinding toil it took to build the “iron road running from the sea to the sea” into a moving musical history lesson. 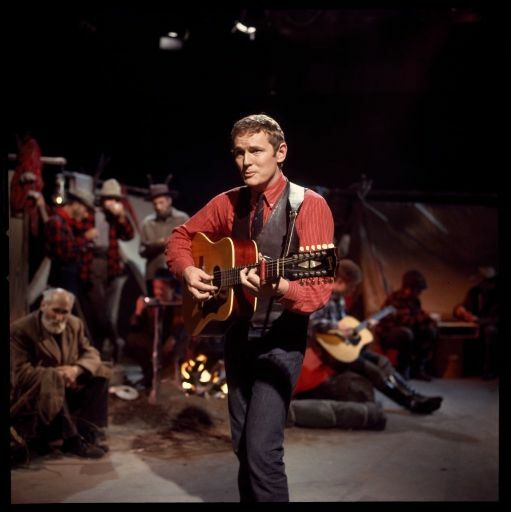 On New Year’s Day 1967, Lightfoot appeared on national television in the CBC special 100 Years Young, kicking off Canada’s centennial. Although there were other performers, including singer Juliette and comedians Wayne and Shuster, Rich Little, and Don Harron playing Charlie Farquharson, it was “Canadian Railroad Trilogy” that stole the show.